Above is a video appeal to support besieged civilians in Syria, giving three ways people in the UK can help break the sieges. Firstly, ask for support for the petition calling on the UK government to begin air drops. Even though Madaya has received temporary respite, the amount of aid is limited, with further road deliveries currently dependent on the whim of the regime. And beyond Madaya, many other areas are also under siege, with civilians suffering greatly. Air drops are not a long term solution, but are urgently needed now as an emergency measure to bring relief. In 2015, only 10% of UN aid access requests to the regime were granted and delivered. 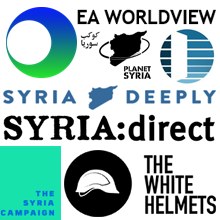 The UK government needs to stop playing Assad’s game. Air drops can break the regime’s control of aid, break the sieges, and bolster efforts to bring peace. Sign the petition here, and please share it with your friends. 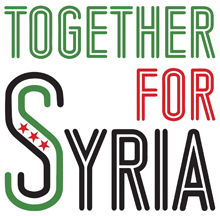 Secondly, members of the Syrian community in London have called a protest for Saturday 16 January, at 2pm in Trafalgar Square. The Facebook event page is here: Drop Food Not Bombs. Please come and show your support. If you can’t come to London on the day, please try to organise your own protest, or record your own video and share on the event page, or on Twitter, or in the comments section here. Finally, please write to your MP asking them to support the call for air drops, and to help put civilian protection at the centre of the UK’s Syria policy. Watch yesterday’s Urgent Question on the siege of Madaya in the House of Commons, or read here, via Jo Cox. We have a moral duty to save the starving Syrians in Madaya, by Paddy Ashdown and Jo Cox. The Syria Campaign launch Break the Sieges website. For over three years, the city of Daraya has been subjected to a brutal assault by the Assad regime’s military forces and sectarian militias, led by Hezbollah, who have been supported politically, and recently militarily, by Russia. The military campaign used all types of weapons, including internationally banned weapons such as Sarin Gas, barrel bombs, and cluster bombs. As a result, thousands of civilians were killed and injured. The Assad regime continues to impose this genocidal siege to the city’s 12 thousand civilians, depriving them of any form of humanitarian aid. Even worse is the daily bombing by the barrel bombs. During 2015, the total number of barrel bombs dropped on the city was 3,430 barrels. The local council of Daraya city would like to point out that it has been in constant contact with the United Nations and the Office of the UN envoy Staffan de Mistura for a long time, but none of its appeals for humanitarian aid have been met. The Council would like to draw attention to the suffering of the city’s inhabitants caused by siege, hunger and shelling. It would also like to cite UN Security Council resolution No. 2165 issued on July 14, 2014, which authorises the delivery of humanitarian aid without requiring approval from the Syrian regime. We reiterate our readiness to protect the delegations of the United Nations and Relief agencies within the city of Daraya, and facilitate their work from the moment they enter the city and until they leave. The eyes of the international media have been focused for the past few days on the plight of the 40,000 starving civilians in the besieged town on Madaya. We are relieved that humanitarian aid and medical supplies are, finally, getting through to the town, and we look forward to further aid deliveries in the coming few days. However, we wish to remind the international community that tragic situation in Madaya is not unique. There are vast numbers of civilians who are still under starvation siege throughout Syria, including several suburbs of the Capital, Damascus. Whole communities all over the Country have been deprived of food, clean water, medical supplies and heating fuel for several months, even years. Without the dedicated work of courageous volunteers and aid workers, who put their very lives at great risk smuggling in food and medical supplies, the besieged communities would not have had the slightest chance of survival. Furthermore, the starvation siege affecting Madaya, and many other Syrian towns and communities, is not in any way resolved. The supplies that have made it through the siege will barely last for one month, and are not a long-term solution. The Syrian British Medical Society would urge Her Majesty’s Government, the international community, and the international medical relief organizations, to condemn in the strongest possible terms the use of food as a weapon of war, and to exert pressure on all parties to left the starvation siege throughout Syria. The Syrian British Medical Society was established in 2007, as a forum for healthcare professionals of Syrian descent working in the UK. It is a non-profit, non-political organization that aims at promoting the highest professional and ethical standards amongst British-Syrian Healthcare Professionals, and the creation and promotion of academic and professional links with the Healthcare Profession in Syria and related organizations worldwide. Since the start of the uprising in Syria in 2011, the SBMS has redirected most of its activities towards helping the devastated healthcare sector in Syria.